welcoming all of God's people, and we mean it. Though authentically Catholic, we are less rigid toward some traditions that divide us, finding a pastoral care toward our entire human condition that unites us and values our very existence. Archbishop Dr. Karl Rodig is our Presiding Archbishop of the ECCC (Ecumenical Catholic Church of Christ), a worldwide Catholic Church Communion; he is also a Consultor for the Worldwide Catholic Movement "Catholic Church Reform International" (over 4 Million strong). A signed letter was sent to Pope Francis on November 1st, 2013. He was also at the Synod in Rome in October of 2014, attending discussion groups, and the opening mass with Pope Francis at St. Peter's. 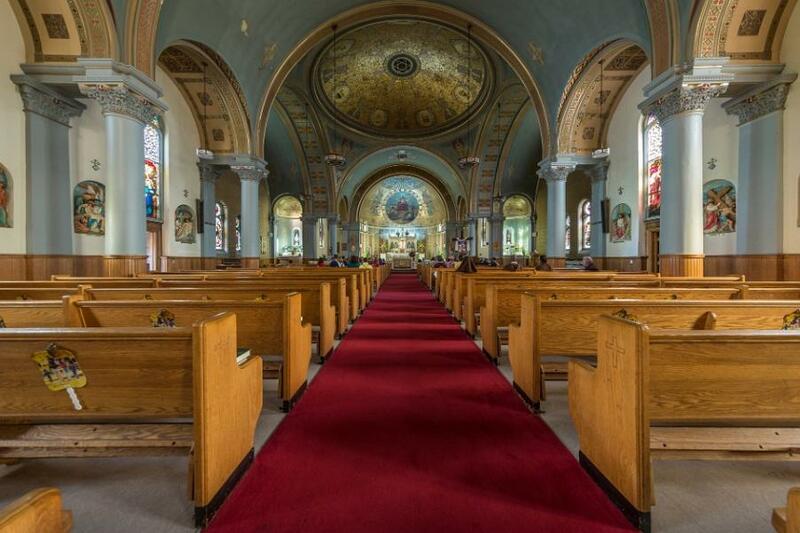 Our Cathedral Abbey of St. Anthony is also a member of the Roman Catholic movement of "Elephants in the Living Room" which seeks to keep the ideas and reform issues of the Second Vatican Council alive, seeking active dialog and Reform. you are disappointed with some independent churches that due to lack of real spiritual authority, are tragically prone to an accommodation to only a spirit of the age. other personal reasons you might have. You are welcome into our Church! "It is necessary to take seriously believers’ sense of faith, precisely with regard to our current topic. We here in the Consistory are all celibates; most of the faithful, however, live out their belief in the gospel of the family in concrete families and sometimes in difficult situations. Therefore, we should listen to their witness and also listen to what pastoral coworkers and counselors in pastoral care to families have to say to us. And they do have something to say to us." Tradition relates that in Italy Mary Magdalene visited Emperor Tiberias (14-37 A.D.) and proclaimed to him Christ’s Resurrection. 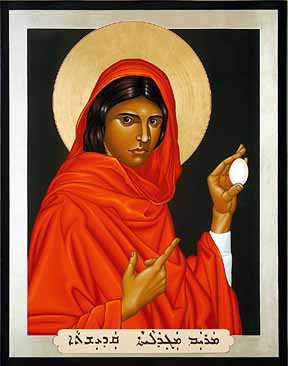 According to Tradition, she brought him a red egg as a symbol of the Resurrection, a symbol of new life with the words: “Christ is Risen!” Then she told the emperor that in his Province of Judea the unjustly condemned Jesus the Galilean, a holy man, a miracle worker, powerful before God and all mankind, had been executed at the instigation of the Jewish High Priests, and the sentence confirmed by the procurator appointed by Tiberias, Pontius Pilate. According to Church Tradition, she remained in Rome until the arrival of the Apostle Paul, and for two more years following his departure from Rome after the first court judgment upon him. From Rome, St Mary Magdalene, already bent with age, moved to Ephesus where the holy Apostle John unceasingly labored. There the saint finished her earthly life and was buried. Her holy relics were transferred in the ninth century to Constantinople, and placed in the monastery Church of St Lazarus. In the era of the Crusader campaigns they were transferred to Italy and placed at Rome under the altar of the Lateran Cathedral. Part of the relics of Mary Magdalene are said to be in Provace, France near Marseilles, where over them at the foot of a steep mountain a splendid church is built in her honor. Yet, we are not promoting total theological faddism (because not all the latest possibilities of modern thoughts are superior or normative to good Christian tradition of faith and life, and its understanding of reality). 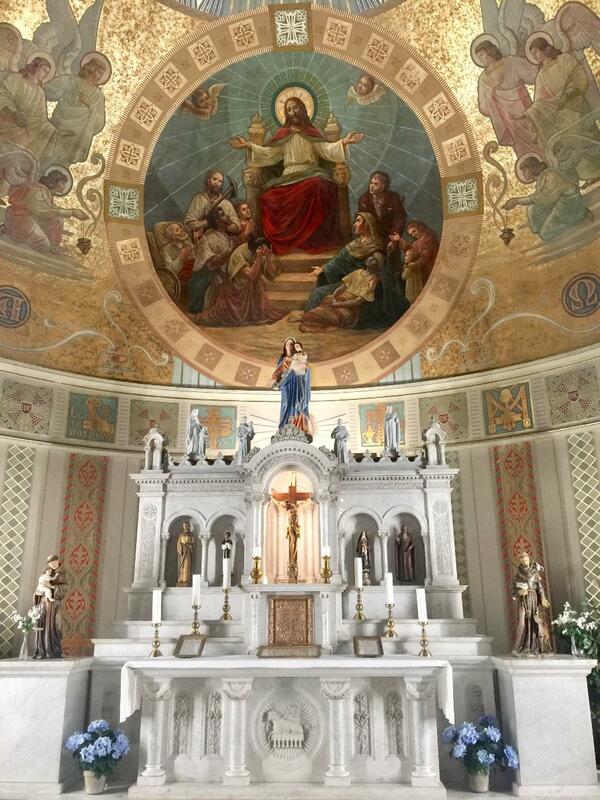 Such thinking has become the going thought in some independent catholic churches, because of their ministers' inadequate theological and biblical education, and lack of spiritual formation. Our Cathedral Abbey of St. Anthony is also the headquarter of the worldwide Ecumenical Catholic Church of Christ, and the New Order of St. Francis and St. Clare.We are present in the five global continents and share an ecumenical perspective to our diverse and good Catholic Traditions. As we strife for Unity among the different Catholic Rites and Christian Churches, our members are Roman Catholics, Anglicans, Episcopalians, Orthodox, Old Catholics, Lutherans, and Christians of other denominations as well. 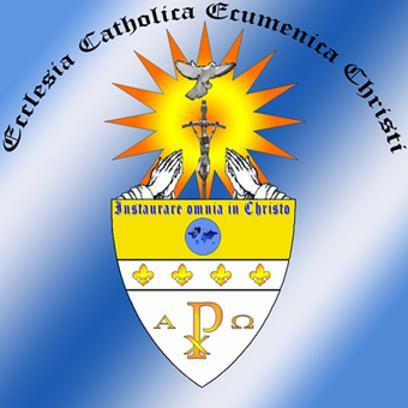 Ecumenical Catholics, Old Catholics, Chaldean, Maronite, Episcopalians, St. Remember when we pray the Nicene Creed, we pray, "...We believe in the On Holy Catholic And Apostolic Church", this we do in a Spirit of Unity. 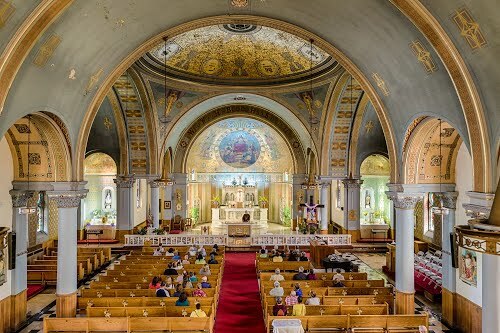 No one prays, "We believe in the One Holy Roman Catholic Church" The Roman Rite together with all other Catholic Rites and Christian Churches, are part of the "ONE HOLY CATHOLIC AND APOSTOLIC CHURCH." If you come from a Western Roman Catholic heritage, you will find very little difference from the worship and liturgy you are familiar with. We celebrate the seven sacraments. All of our bishops can trace their apostolic succession back to the Apostles, the same as the major Catholic Rites. The Ecumenical Catholic experience of faith in action. - in a strange country where no one understood what we said. were eating without first washing their hands. because we did not respect the traditions of the elders. - a book that touched us. these are the things that make us unclean. and in fact keeps people far from the truth of themselves. while we have put aside your first and only commandment of universal love and compassion, and therefore we keep ignoring sexism, racism, elitism, homophobia, cultural imperialism and religious intolerance, all these evil things which come from within the worst of the human heart and make humanity unclean. - the laity were deprived of our teachings on mysticism. showing that judgements were being passed by an elite, isolated from the reality of people's experiences like the Pharisees and scribes coming down from Jerusalem. What were called the customs of the elders were rules concerned with external cleanliness which the humble could not live up to. your commandment of universal love was put aside. - allow those without much education to read! but that we affirm them among us with our love and friendship! -ensure that foreigners will not remain strangers to us! and we will be following your teachings, not mere human regulations. noticing how others do things differently from us. and that many of what we call doctrines are only human regulations. were no more than human regulations. that we could go beyond them and find our purity of heart. persona a una vida justa en la sociedad. Rechazamos todo tipo de estereotipos, odio racial y el proselitismo hacia la discriminacion excitacion a la violencia en contra de las minorias, los falsos temores y el extremismo causados por la ignorancia. Hacemos un llamado hacia la protecion legal y la necesidad de una conciencia colectiva mejor informada. It is taken from the Ephesians 1:10 and expresses our church's desire to strive for unity among all churches through prayer and active dialog. The bottom of the Coat of Arms shows the symbol of Christ, Christos (the two letters the from the Greek alphabet, Chi and Rho, meaning "Christ"). Christ, also the Alpha and Omega (beginning and end). The Son of God who brings salvation, is the one who calls upon all people on this earth (seen in upper site of coat of arms) to again come near to God, the creator of the Universe. The band of the Fleur de lis, (the flower of the lily), a heraldry sign of innocence is by which Christ works through us in the world as seen in the upper half of the coat of arms. On top of the coat of arms we see in the center the cross sign that we are saved through the sacrifice of Jesus Christ on the cross; on the left and right side we see the praying hands symbolizing the worship of all people coming together with Christ in our midst to praise him for our salvation. Above we see the Holy Spirit who gave birth to the church, and through the Holy Spirit the church has experienced reforms throughout the ages. The Sunrise is the sign of the "aggiornamento" (the dawning of a new day) that Pope John XXIII. proclaimed, enjoining us to read the signs of the times. Spiegazione dello stemma Internazionale della ECCC Si è ricavato dalla lettera agli Efesini 1:10 ed esprime il desiderio della nostra chiesa a lottare per l'unità fra tutte le chiese con la preghiera e i dialogo aperto. Sul fondo dello stemma compare il simbolo di Cristo, Christos (le due lettere dal greco, Chi e Rho, che significa "Cristo"). Cristo, anche l'Alfa e l'Omega (inizio e fine). Il Figlio di Dio, che porta salvezza, è colui che invita tutte le persone su questa terra (si guardi la parte superiore dello stemma) a tornare a Dio, il creatore dell'Universo. La banda dei fleur de lis, ( fiore del giglio), un segno araldico di innocenza mediante il quale Cristo opera attraverso di noi in tutto il mondo come si vede nella metà superiore dello stemma. In cima allo stemma si vede al centro il segno della croce per indicare che siamo salvati attraverso il sacrificio di Gesù Cristo sulla croce; sul lato sinistro e destro vediamo le mani in preghiera che simboleggiano il culto di tutte le persone che insieme unite con Cristo al centro lo lodano per la nostra salvezza. Sopra vediamo lo Spirito Santo che ha dato alla luce la chiesa, e per mezzo dello Spirito Santo la Chiesa ha sperimentato le riforme nel corso dei secoli. L'Alba è il segno dell’ "aggiornamento" (l'alba di un nuovo giorno) che Papa Giovanni XXIII ha proclamato, ci incoraggia a leggere i segni dei tempi. Altkatholische Kirche in der Schweiz. Starokatolická Církev v Ceske Republice.